Racism plays a central role in every social challenge today. Communicators face the tricky task of helping an often resistant public to acknowledge and change the effects of racism. One approach is to frame communications less around the problem of racial inequity and more around the solution of what racial equity looks like. Racism is a fundamental aspect of every social issue in the U.S. today, and it has been since before the founding of the country. Every issue. Your issue. That’s because racism shapes who gets resources and who doesn’t, who gets access and who doesn’t, who is valued and who isn’t, whom the law favors and whom it disfavors. Racism is not the only factor (gender bias and other matters play an enormous role as well, of course) and not every organization must address it (though I wish more would). But those that do deal with race and racism in their communications face plenty of pitfalls. At ComNet14, I facilitated a lunchtime discussion on “Racial Justice Communications.” I was joined by 10 people from 9 different organizations working on issues such as health, education and criminal justice. Following are my reflections on racial justice communications, with quotes from several of the participants who emailed with me after the fact. Thanks to everyone who participated and who wrote me. I intend this blog post as a conversation-starter. Please write your thoughts in the comment section, or your ideas about how to talk further—a webinar, a conference session next year? The difficulty begins at the beginning, in getting audiences to understand or admit that race is even an issue. Carmen Lee, communications officer at the Heinz Endowments, says her challenge is “to stimulate frank and constructive dialogue—both within our organization and the region we serve—about the racial dimensions of all the different issues we work on,” such as education and community and economic development. In my experience working on criminal justice and other issues, sparking such dialogue is difficult when many people, especially white people, don’t have an everyday experience of racism or bias; they’re more likely to attribute racial disparities to personal or cultural differences than to individual or structural bias. The flip side of that coin is that many people—again, mostly white—are unlikely to see their own achievements as being made possible by their racial privilege. They got where they are because of their own hard work, and why shouldn’t other people have to work just as hard? This is a rough characterization of complex racial dynamics that are more than just black and white. Regardless, the task for communicators is a tough one. Therein lies another central challenge for public-interest communicators. How do you get people to care about an issue that doesn’t directly disadvantage them or people they love? That’s a hurdle that will be familiar not just to those working on race, but anyone who tries to cross lines of class, gender or geography. How do you move people from saying, “That’s their problem” to “That’s my problem, too, and I want to be part of the solution”? Mary Jamis of M Creative, a communications consultancy, has been pondering that question. “What are successful ways to build trust in a community so that the conversations [about race] can remain honest and open?” Jamis’ question points to not just how communicators frame an issue, but what venues they create or use in order to foster communication. The larger or more diverse the “community” that Jamis is talking about, the harder it is to establish trust. A “community” could be anything from a neighborhood economic development program to the readership of a national newspaper. For communicators working with the mass media, the perils are many. The communications director at a nonprofit group working on food justice and access says she aims to highlight race issues while at the same time “preserving the voices of the people and places we work with and serve.” Problem is that the media “too often unintentionally reinforce stereotypes or clichés.” In other words, she needs the media to publicize these issues, but the media often screw it up. That’s a helpful idea for people facing a monumentally difficult task. 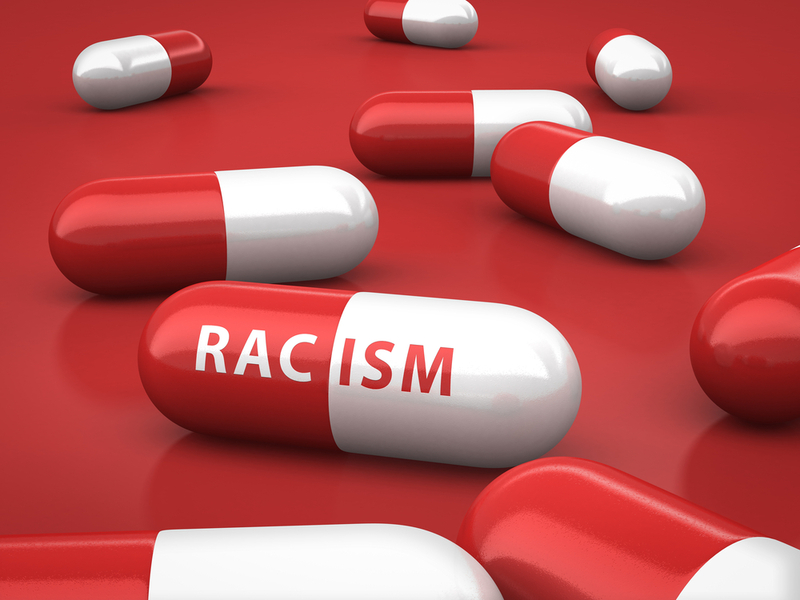 Making progress on health, education, criminal justice and just about every other social problem requires public-interest communicators to work against centuries-old ignorance, anxiety, bias and social-structural opposition and induce people to acknowledge and change the central role of racism in those problems. It’s a towering challenge, but then, it’s been done before, from the abolitionists onward. And why do you do what you do, if not to create change? To be involved in something important, even historic? Please share your ideas, challenges, questions and resources in the comments section. FrameWorks Institute has a resource page on communicating about race. The Opportunity Agenda has research, resources and initiatives that deal with communicating about race and opportunity. Paul VanDeCarr is the managing director of Working Narratives, and the author of that organization’s “Storytelling and Social Change: A Strategy Guide for Grantmakers.” He is now working on a second edition of the guide for nonprofits, social entrepreneurs and activists. Write to him at paul@workingnarratives.org or follow him on Twitter at @wnstory.